There is one major difference between disaster avoidance and disaster recovery: Only one of them is an actual disaster. Avoiding disaster starts by proactively answering a few basic questions. 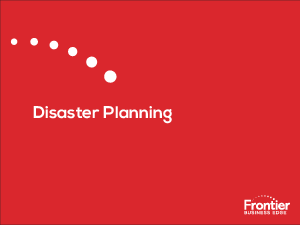 Download this e-Book to learn how to properly prepare your business for when a potential disaster strikes.